Over/Under: Under 166.5 at 1.90 Bet Now! If you are looking for a big name clash in the Euroleague this week, it probably doesn’t get bigger than this game in Moscow. The home side may have lost last week but they were in pulverising form in the regular season. The away team come with a win behind them but it’s been a disappointing season for the champions so far. 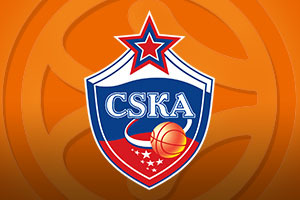 The loss last week to their Moscow rivals was a shock to CSKA Moscow but to be honest, any CSKA Moscow loss in the regular season or Top 16 can be classed as a shock. The team now holds a 9-2 record for their Euroleague season and they’ll be desperate to smash Madrid Baloncesto and get back to winning ways in this one. Nando De Colo remains one of the most dangerous players in the Euroleague and with Milos Teodosic in support; there is every chance that this will be a fun night for the Moscow fans. Will Madrid finally find consistent form? Will this be the week that the Euroleague champions finally stand up and show that they are serious contenders to retain their crown? A 5-5 record in the regular season and sneaking through very late shows that Madrid are not as good as they were last season but they still have the players who can go all the way if they get it together. It feels as though we’ve been saying that every week this season but with Sergio Llull delivering an average of 13.8 points per game, this is still a team that can cause problems. With names like Ayon, Carroll and Rodriguez on board, this Madrid side may still click this campaign. Even though they have been poor this season, it is not that often that you’ll find the reigning Euroleague champions as big outsiders. This is the case in this game though and the bookmakers think CSKA will handle this game easily. 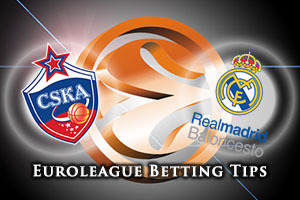 You can look at the Madrid roster and think that they get a result but that hasn’t been borne out this season so take CSKA Moscow at -7.5 at odds of 1.90. For the Over/Under market, look to go UNDER 166.5 at odds of 1.90. Bet Now!